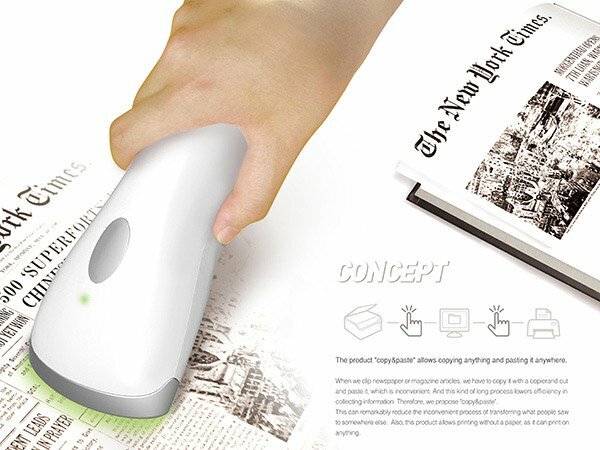 Portable Scanner Concept is a handheld scanner and printer all in one or one package. 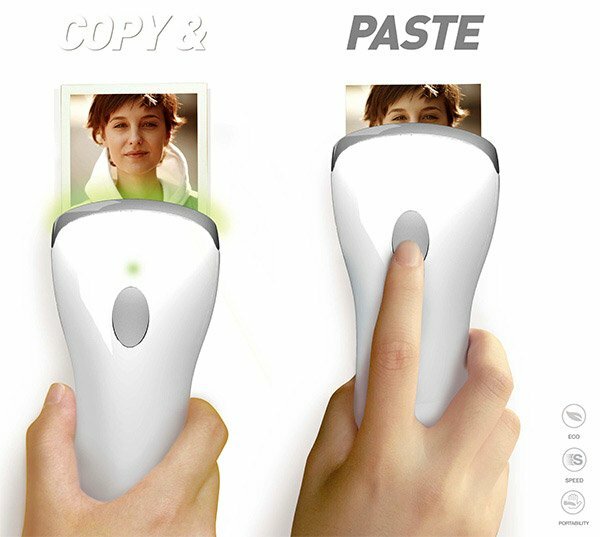 And this scanner concept is allowing the users to directly scan and paste without the need of any inkjet printer, laser printer and bed scanner or etc. 1. One button is on the underside. 2. Another Button is on the top of portable scanner. When the underside button of the Portable Scanner is pushed then activates the scanner which can scan text or images whether these material physical or electronic. Once the scanning of Portable Scanner Concept is completed then pushing or pressing the top button of this portable scanner concept that activates the printing function and will be used to print the source of material whether it is text or image directly on notebook or just any paper without the any need of any external printer like laser printer. 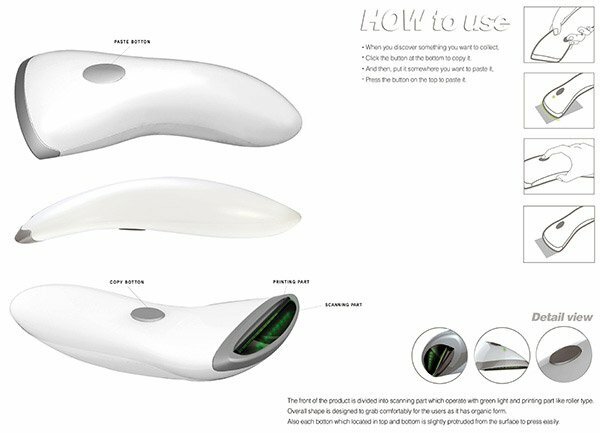 Portable Scanner Concept will not only reduce usage of paper for printing but is will also used to save energy and reduce the electronic usage in the long run.